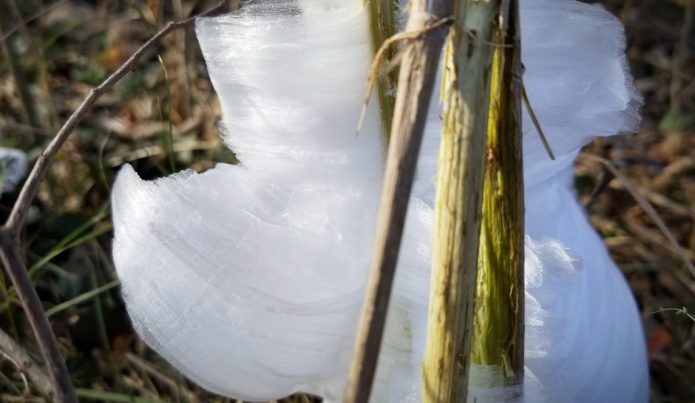 A few months ago, I walked across a very strange form of “vortex ice” sprouting out from the base areas of plant stalks. These ice formations seemed to defy gravity, growing out sideways (and even up) instead of downward. Knowing that no one would believe my description without video proof, I filmed this “vortex ice” and took several photos. Notice that this isn’t a wind effect, since the vortex ice seems to sprout in all directions, not just in a single direction. As you can see from the video, this was also happening in direct sunlight, and there’s essentially no ice or snow anywhere else on the ground. Get ready to see more amazing videos as we launch REAL.video this July. It’s the new free speech alternative to YouTube. Sign up now at REAL.video for your own video channel.